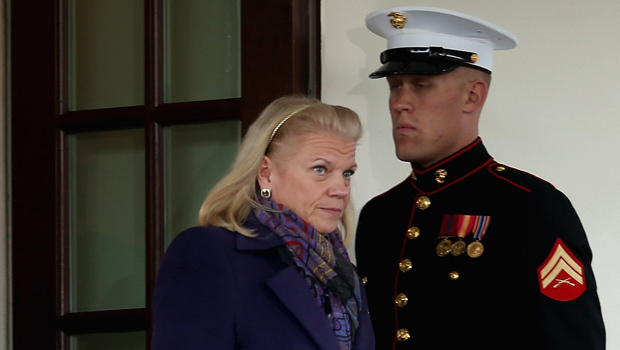 ARMONK, N.Y. IBM (IBM) awarded CEO Virginia Rometty a compensation package valued at $15.4 million during her first year running one of the world's biggest technology companies. AP's calculation counts salary, bonuses, perks and stock and options awarded to the executive during the year. It doesn't include changes in the present value of pension benefits, and sometimes differs from the totals that companies list in their proxy statements filed with regulators. As with most CEOs, most of Rometty's 2012 pay consisted of long-term stock awards that could wind up being worth more or less than the $9.3 million listed in the initial disclosures. Rometty succeeded Sam Palmisano at the beginning of last year and took on the added role of chairman in October. She's gotten off to a solid start, posting better-than-expected profit growth.